The collection includes the fabrics produced in silk-weaving centers of Central Asia such as Bukhara, Kitab, Qarshi, Khodjent, Samarkand, Margilan, and Kokand. 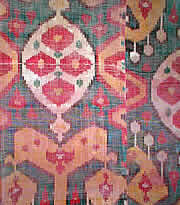 Besides, there are several kinds of fabrics brought from India, China, Russia, and other European countries. 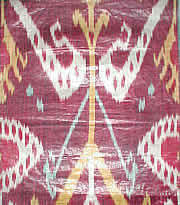 The samples of hand-made fabrics, mainly silk, semi-silk, and cotton, are represented by shohi, beqasam, adras, alocha, bakhmal, gulbosma, qalami fabrics as well as block-prints. 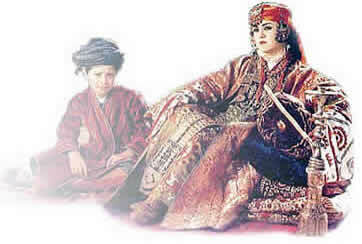 Women’s, men’s and children’s clothes such as kuylak, kaltacha, parandja, chachvan, lozimi, robes, gowns, and pants (19th – 20th cc.) 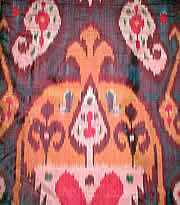 made of shohi, podshohi, kundal, adras, bakhmal, and khon-atlas, the famous Bukharan silk, semi-silk, cotton, and velvet fabrics. The applied art collection has 2,420 articles. The collection mainly includes the belongings left after the Bukharan emir. These are crockery items, furniture, and jewelry artifacts. The most impressive is the collection of the jewelry artifacts such as the golden plate and earrings (2nd c. BC) found in the burial mounds of the Bukhara region. There are great quantities of women’s and men’s jewelry articles of the 19th- 20th centuries. The museum has spectacular collection of silver dishes such as the tea- and dinnerwares, wineglasses, and cases for the Koran. The collection of archaeological objects is divided into 67 collections. It consists of 10, 523 items. Of those 489 are related to the Neolithic- (the Darbazakir settlement, the 5th -3rd cc. BC) and 57 to the Bronze Ages (the Zamon-bobo settlement, the 3rd -2nd cc. BC). Numismatic collection has 19,162 items. The formation of the collection dates back to the 1920s. The collection primarily consists of the coins excavated in the territory of Bukhara and its suburbs. It, too, includes the coins, banknotes, medals, and badges collected by the museum’s staff. 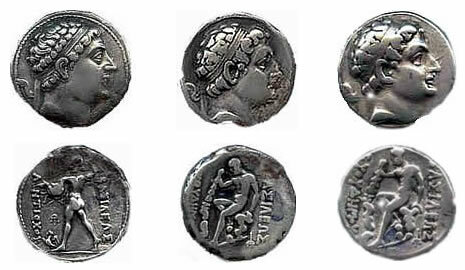 The collection is represented by the coins of the pre-Islamic period (3rd c. BC and early 7th c. AD) such as the Greek-Baktrian coins (3rd – 2nd cc. ), the coins of the Kushan empire (1st c. AD), and Bukharkhudats (6th – 9th cc. ).